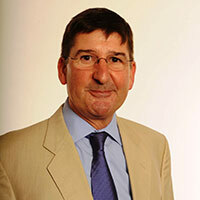 Professor Adrian Keane joined The City Law School (formerly the Inns of Court School of Law) in 1984. He teaches Evidence, at both undergraduate and postgraduate level, and Advocacy on the Bar Professional Training Course. He was called to the Bar in 1978. In addition to his experience in practice at the Bar and at the School, he has been Dean of the Inns of Court School of Law, a visiting lecturer at Wadham College, Oxford, and a guest lecturer at LSE. His public appointments have involved him in work for the Law Reform Commission of Hong Kong, and have included membership of the Steering Committee for the CNAA-TEED Development Project on Competences, Assessment and Education in Undergraduate Law Courses, membership of the Bar Council Education and Training Working Party, and sitting in a judicial capacity as a Chairman of Employment Tribunals (part-time). He was also a member of the Lord Chancellor's Standing Conference on Legal Education. Professor Keane has delivered keynote addresses and papers at numerous conferences at home and overseas on the subjects of Evidence and professional skills training and assessment. He has been interviewed for BBC Radio 4's Law in Action, has written articles of topical interest for The Times, and developed the idea for the first Worldwide Advocacy Conference in 1998. In 2011, he was involved in advising the Chinese Government on reform of its laws of Evidence and Procedure as part of a research team based at Renmin University, Beijing. The team's proposals led directly to a revised Criminal Procedure Law involving a major re-balancing of the Chinese criminal justice system in favour of the accused. Professor Keane has an extensive research and publication record. He is the author of numerous learned articles and of The Modern Law of Evidence, OUP (9th edn, 2012), a work that has been cited with approval within the jurisdiction, by the Privy Council and the House of Lords, by appellate courts in many jurisdictions overseas, including the Supreme Court of Canada, and by the United Nations War Crimes Tribunal (Rwanda). He also scripted 'Do you want to hear a story?' and 'There are two sides to every story', advocacy skills videos; and co-scripted 'Do I have to talk to the client? ', a conference skills video. He is a co-author of two works for practitioners, Blackstone's Criminal Practice 2013, OUP (23rd edn, 2012) and Blackstone's Civil Practice 2013, OUP (13th edn, 2012). Barrister at Law and Bachelor of Laws (with honours). My current research is focused on two topics. The first relates to the unexplored relationship between the evidentiary principles that normally operate to prevent expert witnesses from giving opinion evidence on the credibility of witnesses whose testimony may be tainted and the evidentiary principles that require judges to direct juries on the likely credibility of some such witnesses. The second relates to the degree of coherence and consistency of the theoretical principles used to justify the exclusion of evidence obtained illegally, improperly or unfairly. Sime, S. (Ed. ), (2013). Blackstone's Civil Practice. Oxford: Oxford University Press. ISBN 978-0-19-966136-7. Keane, A. and McKeown, P. The Modern Law of Evidence. Oxford University Press. ISBN 978-0-19-969832-5. Keane, A.N. Blackstone's Criminal Practice 2014. Hooper, A. and Ormerod, D. (Eds. ), ISBN 978-0-19-968139-6. Keane, A.N. (2012). Cross-examination of vulnerable witnesses - towards a blueprint for re-professionalisation. The International Journal of Evidence and Proof, 16(2), pp. 175–198. Keane, A.N. (2012). Towards a Principled Approach to the Cross-examination of Vulnerable Witnesses. Criminal Law Review, (6), pp. 407–420. Keane, A.N. and Fortson, R. (2011). Leading Questions: A Critical Analysis. Criminal Law Review, (4), pp. 280–295. Keane, A.N. (2010). The Use at Trial of Scientific Findings relating to Human memory. Criminal Law Review, 2010(1), pp. 19–31. Member of the Editorial Board of the Journal of Commonwealth Law and Legal Education. Illegally and Unfairly Obtained Evidence in Criminal Cases - the Quest for Coherence and Consistency. Southwest University of Political Science and Law, Chongqing, China (2012). The Examination and Cross-examination of Young and Vulnerable Witnesses in Criminal and Family Proceedings. Evidence and Justice Forum, City University London (2012). Intercept Evidence. Conference of Chinese Judges, Centre for Criminal Procedure Reform, Renmin University, Beijing, China (2011). Illegally Obtained Evidence. Conference of Chinese judges, Senior Public Prosecutors, Senior Representatives of the Police Force, Centre for Criminal Procedure Reform, Renmin University, Beijing, China (2011). Use at Trial of Scientific Findings relating to Human Memory. Second International Conference on Evidence Law and Forensic Science, China University of Politics and Law, Beijing, China (2009). The Skill that Dare not Speak its Name (Fact Management). APLEC Conference, Sydney, Australia (1996). Expert Evidence: Use, Non-use and Abuse. Criminal Bar Association Annual Lecture, Old Bailey, London UK (1996). The Role of Legislation in the Life of the Practising Lawyer. Statute Law Society's Annual Conference, London UK (1986).